Delphic are an electronic/indie three piece that aims to be the future sound of Manchester, by mixing euphoric electronica with anthemic songs. The group who formed in 2009, is made up of James Cook (vocals and bass), Matt Cocksedge (guitar) and Richard Boardman (synths). They are also accompanied by Dan Hadley on drums. 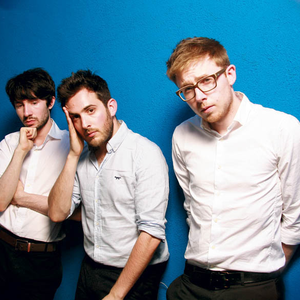 Delphic released their first single This Momentary in 2009 on the french record label Kitsuné. The last few months of 2009 were good months for Delphic they had their first TV appearance on "Later.